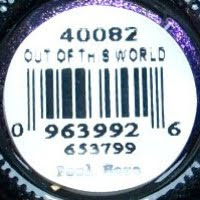 out of this world is described as "purple with pink silver fx". i would say the pink isn't terribly apparent in this one, the silver is more outwardly visible as the major shimmer color. but the pink is there alright as you can see, more in the bottle shots than on the nail. in real life, i could see the pink at different angles, only indoors. this polish along with most of the others in this collection have a distinct foil-like finish on them and it is awesome! i would compare this to zoya julieanne, not sure if it's a dupe or not - there will be a comparison post soon. 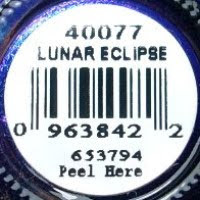 lunar eclipse is labeled by orly as "blue with pink purple fx". i was not expecting much when i saw this in the bottle, ho hum another blue, but when i had it on, i really loved it. the pink and purple "fx" really make it stand out. it really just GLOWS. royal bright blue and glitzy glam! and the closest dupe i can think of would be sally hansen's new HD polish in laser, i'll do a comparison soon. 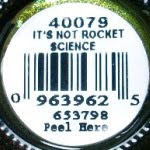 it's not rocket science is called "green with gold blue fx". this color is the first one i wore as a full mani (so these pictures have a coat of poshe over them). it seems to be very comparable to china glaze's halloween polish zombie zest and possibly sparitual's optical illusion? but having neither of them (yet haha), i cannot make a definitive comparison. this polish is a knock-your-socks off golden olive grassy rotten egg green and i LOVE it. micro glitter feel to the finish, but absolutely smooth. and it had kind of a darkened look to the edges once i had it on my nails. epic. are you loving these or hating them? let me know :) stay tuned for part 2 of the collection!